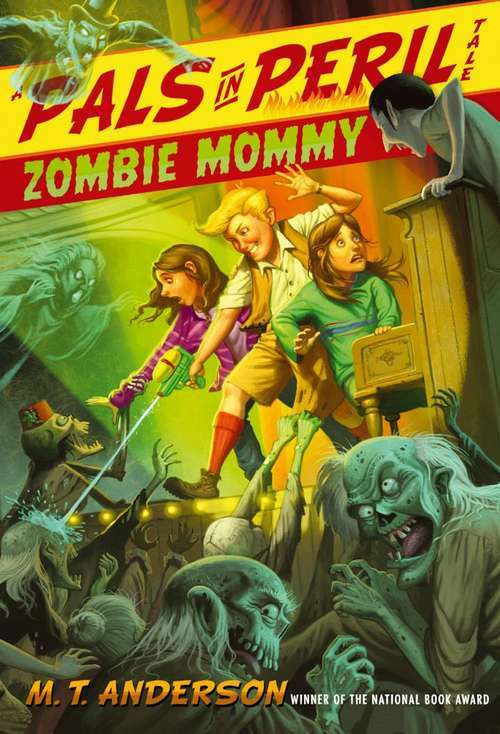 The Pals in Peril embark on a horrifying adventure of life and un-death that is "ridiculous in all the best ways" (Kirkus Reviews)!Our intrepid heroes are home from their Delaware crime-stopping excitement, only to discover that Lily's mom has become possessed by a menacing zombie who wants to take over the world! (Or, at least, the world of stage and screen.) Thank goodness Lily's friends Katie, Jasper, and foxy Blue-Hen-State monk Drgnan Pghlik are around--accompanied by Jasper's Astounding High-Pressure Holy Water Extruder Gun, of course--to help save the day. But not before some truly scary things happen, things involving stuff like killer tarantulas, web-footed teen vampire boys, bad weather (it's a horror novel, remember? ), and, well . . . the rest is just TOO TERRIFYING FOR WORDS!